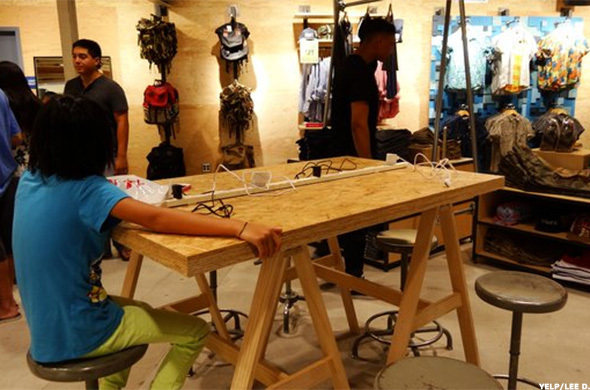 Specialty retailers are beginning to offer mobile charging stations to their customers. Brian Sozzi, CEO of Belus Capital Advisors and analyst for TheStreet, cites three retailers that are ahead of the pack in this race to recharge. 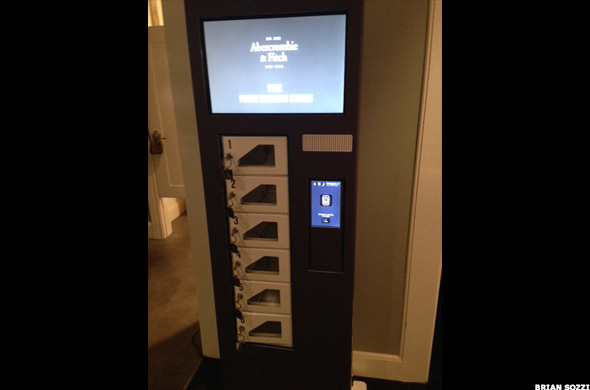 NEW YORK (TheStreet) -- In a bid to better cater to the evolving needs of today's tech-obsessed consumers, specialty retailers such as Abercrombie & Fitch (ANF - Get Report) are installing mobile phone and tablet charging stations inside their stores. From the looks of things, the race to provide shoppers with chargers is getting intense. Starbucks (SBUX - Get Report) announced on June 11 that it was rolling out "Powermat Spots" at stores in the San Francisco Bay area, with an expected expansion to other major metro markets in 2015. These electrified spots, according to Starbucks, are "designated areas on tables and counters where a consumer can place their compatible device and charge wirelessly." 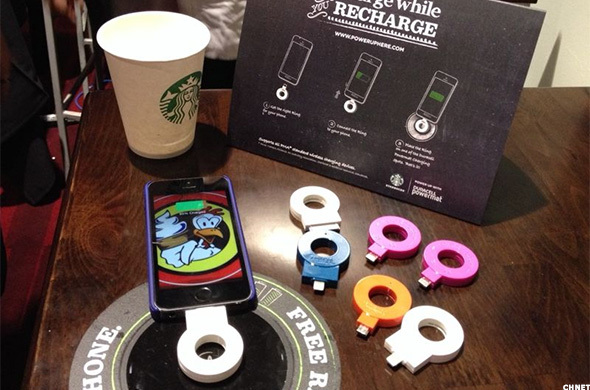 Prior to Starbucks' disclosure, in July 2013 specialty apparel retailer Urban Outfitters (URBN - Get Report) began testing wood-based charging stations with seats and 10 Apple (AAPL - Get Report) iPhone outlets at select stores in New York and Washington. Abercrombie & Fitch is even providing lockers so shoppers can charge their phones and walk away without worrying about losing their phones to others. "We know our consumers are constantly on their phones so we wanted to provide them with a place to charge their device while they shop," a company spokesperson said in a statement. "We currently have two Abercrombie & Fitch locations with charging stations and are looking to add a few more throughout the year in both A&F and Hollister." Charging stations are just another way for stores to keep shoppers shopping -- and potentially raise sales. They may lure shoppers into the stores in the first place as well as reduce anxiety regarding dying battery life, and subsequently raise purchase intent. Finally, a fully charged Apple iPhone or Google (GOOG Android phone allows a consumer to continue to interact with the brand via Twitter (TWTR, Facebook (FB, and Instagram, in effect serving as a real-time marketing tool, as well as allowing consumers the ability to browse a company's Web site for exclusives not found in brick-and-mortar locations. -- By Brian Sozzi CEO of Belus Capital Advisors, analyst to TheStreet. This article represents the opinion of a contributor and not necessarily that of TheStreet or its editorial staff. At the time of this publication, Belus Capital Advisors rated Starbucks at a hold. Brian Sozzi is the CEO and Chief Equities Strategist of Belus Capital Advisors. He is responsible for developing and managing an equities portfolio of mid- and large-cap positions, in addition to leading the firm's digital content initiatives. He is also a personal finance columnist for Men's Health magazine.